Fro more information about Vulkan, visit https://www.khronos.org/vulkan. AMD – Graphics Core Next (GCN) Based Cards with Radeon Software Crimson Edition 16.3. Visit http://www.amd.com/en-us/innovations/software-technologies/technologies-gaming/vulkan for full details. 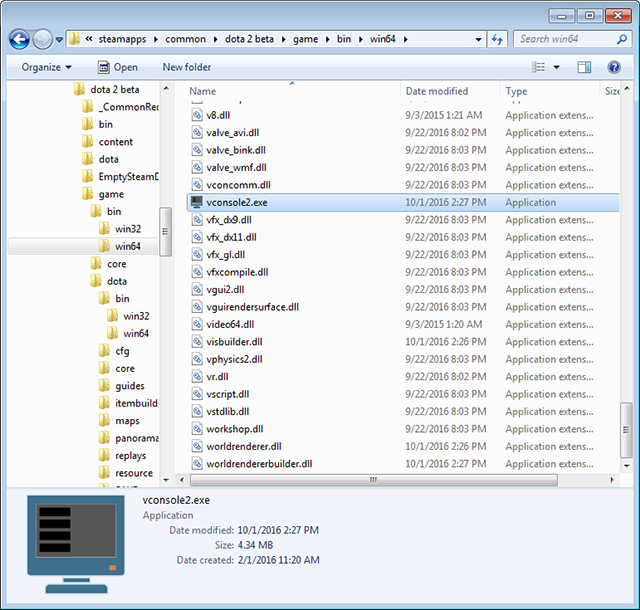 nVidia – with Windows driver version 368.69 and later and Linux driver version 367.27 and later. Visit https://developer.nvidia.com/vulkan-driver for full details. 1. 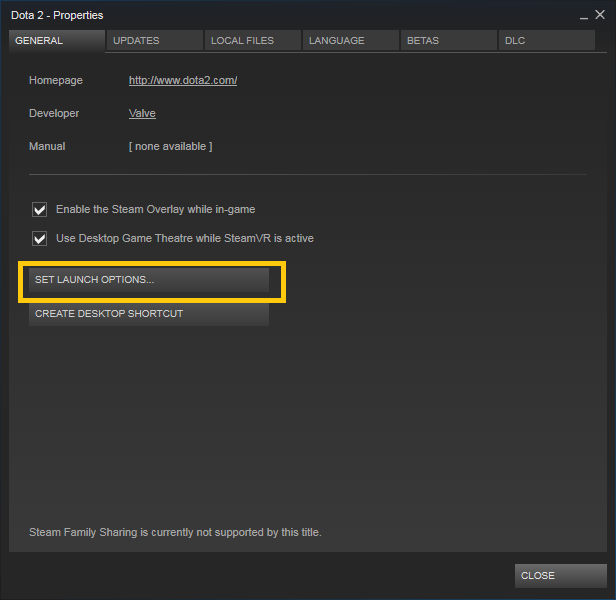 Go to Steam LIBRARY, select Dota 2, download the “Dota 2 – Vulkan Support” on DLC section. The download size is about 300MB. 2. Right-click Dota 2 then click Properties. 3. Click SET LAUNCH OPTIONS. 4. Type “-vulkan -vconsole”. 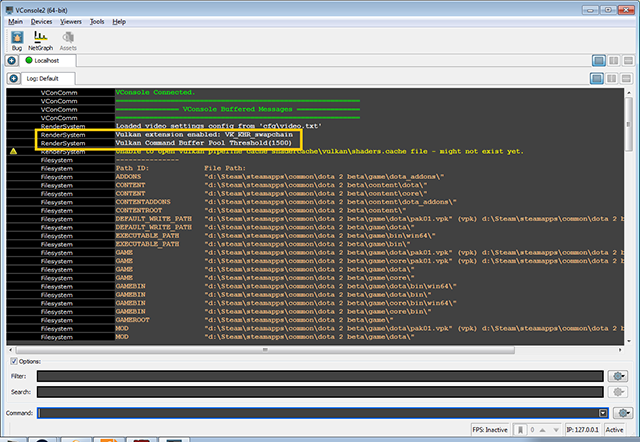 Remove other parameters like “-dx9 -dx11 -gl” to avoid conflicts. 1. Run DOTA 2 then open the console and type “vulkan”. If vulkan commands starts to show up, it means that Vulkan is now enabled. 2. Press Alt + Tab. Go to “\Steam\steamapps\common\dota 2 beta\game\bin\win64 “. Run “vconsole2.exe”. 3. If you see “Vulkan Extension Enabled: VK_KHR_swapchain” , it means that Vulkan is enabled. The “shaders.cache” error line is expected on AMD cards. We did a quick test with Intel i5-3470, AMD Radeon HD7750 1GB, 8GB of RAM on 64-bit Windows 7 with Radeon Crimson 16.7.3 driver. 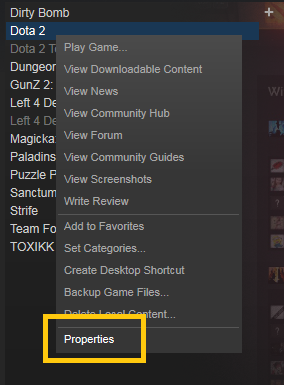 We ran a replay and set DOTA 2 on Best Looking Preset and typing in “fps_max 500” to console to unlock the fps. 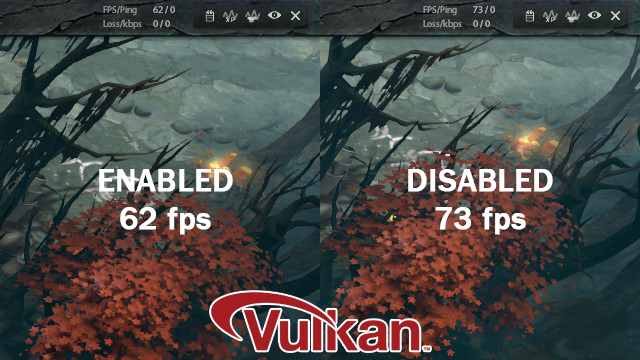 Quite surprising that enabling Vulkan will reduce the performance by 11 fps. This is not what Vulkan supposed to do, but it is just a quick test and we cannot conclude that Vulkan is useless at least for DOTA 2. Use gcn 4.0 arch you will actually see improvement.